Looking for deeper insight on markets? In tonight’s Closer sent to Bespoke Institutional clients, with JPM looking to kick off earnings season tomorrow morning, we take a look at how the banking group trades around this time. Afterward, we move on to provide a technical analysis of gold. 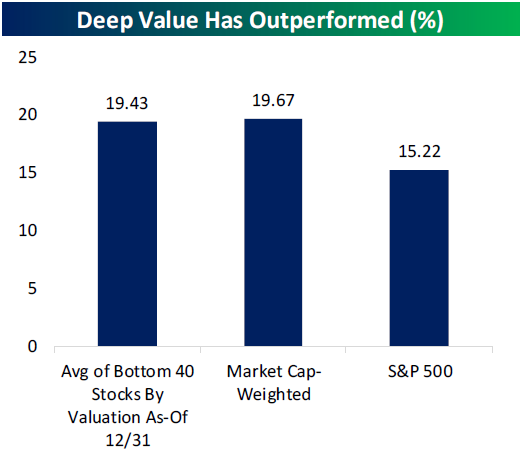 Pivoting back to equities, we show the outperformance of value year to date and offer some names that offer attractive valuations across multiple metrics and attractive chart patterns. We finish with an update of today’s PPI release which handily beat economist forecasts.